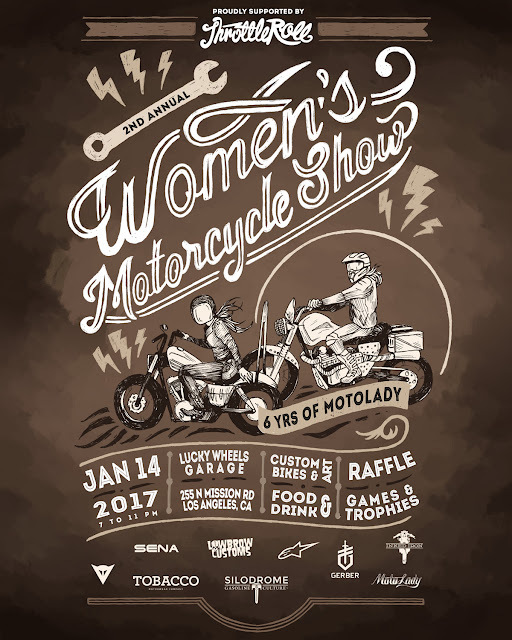 This Saturday, January 14, the second annual Women's Motorcycle Show will be held at Lucky Wheels Garage in Los Angeles, CA. Doors open at 6pm for media and 7pm for the public. Hosted by Alicia Elfving, author of the wildly successful MotoLady website, this show will promote the creative and groundbreaking work being done by women in the motorcycle industry, and will celebrate the MotoLady website's sixth anniversary. Custom motorcycles built by and for women from all around California will be featured. This year's show will build on the success of the 2016 show, which saw over 200 in attendance and featured over 15 custom motorcycles, including the MotoLady DualSporty Blondezilla bike, Battlestar Galactica actress Katee Sackhoff's Classified Moto bike, and the infamous Yuriko's SoCal "Gloryhole Chopper." Celebrity motorcycles include MotoAmerica racer Melissa Paris’ flattrack race bike, and TV Show Host/Offroad Racer Jessi Combs’ Harley Davidson. "People's Choice" award, given to the crowd favorite motorcycle. Those interested in attending please RSVP. Those interested in displaying their motorcycles built by or for women, use the motolady contact page. 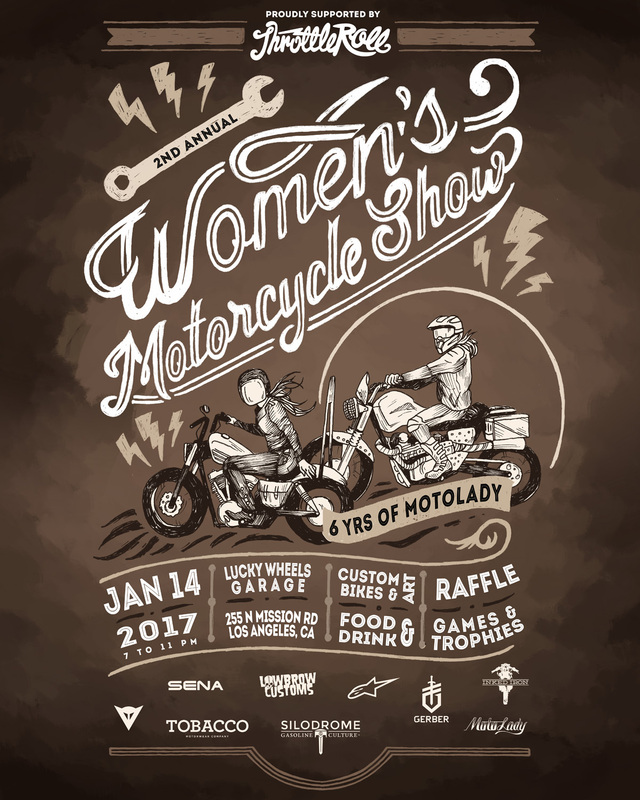 For more information, visit The Motolady Women's Motorcycle Show. For questions, contact Alicia Elfving at 503-290-8767 or alicia@themotolady.com.